Using a laptop and an Internet connection, Nouman Ali Khan launches Bayyinah. He also begins teaching Fundamentals of Classical Arabic in New York and New Jersey. Soon after, he starts teaching Tajweed and Reading Essentials. A spurt of nation-wide seminars, lectures and public speeches takes Bayyinah to more than 40 locations across the USA. Nouman Ali Khan begins teaching the multi-part seminar, Divine Speech, one of Bayyinah’s most popular series. Research completed for Bayyinah’s Meaningful Prayer course, one of the institute’s longest-running courses. Bayyinah’s weekend seminars are an instant success, surpassing 25,000 in attendance. Nouman Ali Khan moves to Dallas, Texas and explores the idea of opening a campus. In the new campus, an 11,000 sq ft. space close to DFW airport and the Islamic Center of Irving, the 9-month intensive Arabic immersion course commences with a class of 65 male and female students. Bayyinah launches a 30-day intensive Quran studies program in Carrollton, Texas. It is the subject of a documentary series. Nouman Ali Khan begins filming his first complete tafseer of the Quran “Quran: Cover to Cover”. Nouman Ali Khan presents the Divine Speech series in London, attracting attendees from 15 countries. A new take on teaching Arabic grammar launches as Nouman Ali Khan is filmed teaching his daughter Husna. Bayyinah’s first one-day conference kicks off at the Irving Convention Center, featuring Nouman Ali Khan and prominent scholars. Bayyinah TV’s website launch is announced at the Amazed by the Quran conference with recordings of Arabic with Husna, Quran: Cover to Cover and Divine Speech. 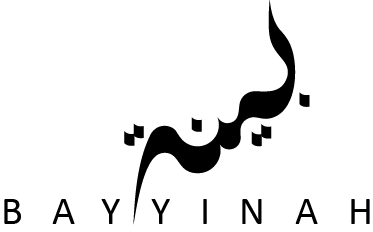 Bayyinah announces the launch of two part-time programs on its Irving campus. The 7-month course is offered in the mornings and evenings. Bayyinah TV finds a new home in a suite two floors above the Dream Classroom in Irving, TX and begins outfitting the “studio” with professional-grade production equipment, digital editing stations and hires a full production, creative and administrative team to produce new videos with high quality production standards. Amazed by the Quran convention held in Singapore in November. The first phase of Bayyinah Institute’s new Euless Campus opens with the public prayer hall. A daily tafseer of Surah Al-Baqarah begins at the Euless Masjid in Ramadan, June 2016. A lecture series is presented by Nouman Ali Khan in Malaysia while he accompanies the cycling team distributing zakat in the countryside. Bayyinah TV’s state-of-the-art streaming portal launches in March, featuring the Quran and Arabic Journeys, 2000 hours of custom curated content available on the desktop and on-the-go with the mobile app. This year Nouman Ali Khan aims to complete his running translation of the entire Quran, "A Concise Commentary", a cornerstone of Bayyinah TV.